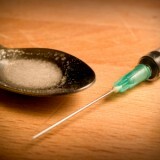 Home » Insurance » Failing to disclose prior drug use is not fraud. Failing to disclose prior drug use is not fraud. On November 23, 2004, the BC Supreme Court found against Manulife Financial, and ordered it to pay death benefits to a widow, in Metcalfe v Manufacturers Life Insurance Company, 2004 BCSC 1526. An insured (“Mr. Metcalfe”), who died of a drug overdose, had purchased a life insurance policy seven years before his death. Although he did not disclose to the life insurance company that he had been in a drug treatment program for cocaine and heroin use three years before obtaining the policy, the life insurance policy was determined to be valid, because the insured did not fraudulently misrepresent his status to the insurer. 1. Have you ever used cocaine or heroin other than as prescribed by a physician? 2. Have you ever received counselling or treatment for alcohol or drug usage? Ms. Payne testified that it was her invariable practice to read the questions verbatim to the insured and to record verbatim answers. Ms. Metcalfe was also at the meeting and testified with absolute certainty that Mr. Metcalfe did not answer “no” when asked questions about drug use and treatment. Rather, he told Ms. Payne that he had suffered drug problems in the past, but had been clean for three and a half years. According to Ms. Metcalfe, Ms. Payne then told Mr. Metcalfe that he need not concern himself about that because after two years it was a “non-issue”. Ms. Payne then, without prompting from Mr. Metcalfe, marked “no” as the answers for those questions about drug use and treatment. Mr. Metcalfe signed the application form. Shortly after filling out the application form, Mr. Metcalfe met with Ms. Warren, a registered nurse, who was retained by Manufacturers to obtain blood and urine samples from Mr. Metcalfe. Ms. Warren also completed a questionnaire with questions similar to those in the application form. Ms. Warren testified that Mr. Metcalfe advised her to put “no” in answers to questions about past drug use and treatment. Mr. Metcalfe had taken cocaine and heroin and had a past history of illegal drug use that led to his hospitalization in January 1988 and again in November 1989. In that period, he also had a 28-day stay in a drug rehabilitation facility. Mr. Metcalfe died of an accidental cocaine/heroin overdose in 2002. From the drug test performed by Ms. Warren, it appears that Mr. Metcalfe was drug free for at least 3 years prior to entering into the insurance contract with Manulife. Rice J. noted that in the absence of any explanation, the answer “no” to the questions on the application, and the questions to Ms. Warren, leaves no doubt of misrepresentation. Even Mr. Metcalfe’s alleged oral disclosure, if it was no more than a general statement of unspecified drugs, of unspecified frequency and amounts of use, with nothing said of his treatment, would fail to meet a reasonable standard of disclosure. Manufacturers presented two brokers who testified that Mr. Metcalfe would have been denied coverage had he disclosed his history of drug use. Rice J. accepted the testimony of the brokers and determined that Mr. Metcalfe’s past drug use was a material risk to the policy. The life insurance policy also contained an incontestability clause stating that misrepresentation or non-disclosure of a material fact, except for fraudulent statements, shall be incontestable after the contract has been in effect for two years. Therefore, to succeed in voiding the policy, Manufacturers was required to prove that Mr. Metcalfe fraudulently withheld information about his past drug use. Rice J. relied upon Kruska v. Manufacturers Life Insurance Company (1984), 54 B.C.L.R. 3 (S.C.) aff’d (1985), 63 B.C.L.R. 209, for the proposition that the accepted test of actual fraud in a civil case is that the representation must be made knowingly, without belief in its truth; or recklessly, without care as to whether it is true or false. Conduct without fraudulent intent is not sufficient. Rice J. noted that he doubted Ms. Payne’s testimony with respect to whether she followed her usual invariable practice of recording answers verbatim. The judge further noted that Mr. Metcalfe had an existing insurance policy, and it would be unlikely that he would have traded that coverage for a new policy, with the knowledge that he would be committing a fraud and that the policy could be void. Rice J. observed that Mr. Metcalfe’s drug use and treatment were well-documented in clinical records, and that he was aware that it would be unrealistic to conceal that evidence from his insurer. Although the fact that Mr. Metcalfe lost his life to a drug overdose caused Manufacturers to be dissatisfied with the misinformation they received, Rice J. did not find that the conduct of Mr. Metcalfe rose to the level of fraud, and that Mr. Metcalfe’s policy of life insurance was valid at the time of death. The trial decision was upheld on appeal.